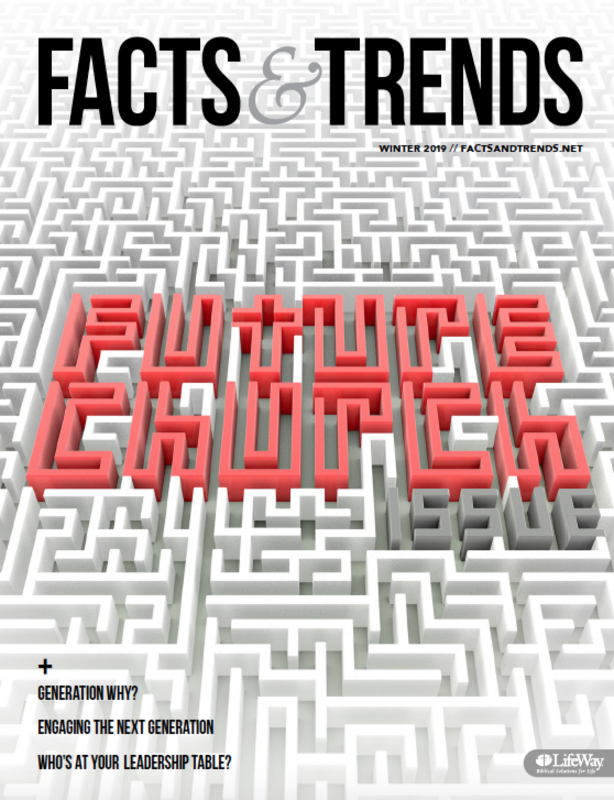 As we raced to get this issue of Facts & Trends off to the printer in late August, the rest of the world seemed tuned in to the Summer Olympic Games in Rio. I certainly watched my fair share of incredible speed, dexterity, and feats of strength displayed by the world’s top athletes. One of my favorite competitions is the decathlon. I was on the edge of my seat as U.S. athlete Ashton Eaton crossed the finish line of the 1,500 meters, the last of the 10-event competition, winning the Olympic decathlon for a second time. He certainly deserves the title “World’s Greatest Athlete.” The competition in the decathlon is fierce. These athletes must possess speed, strength, endurance, skill, and laser-like focus to excel at multiple disciplines. As I watched this competition, I was reminded of bivocational pastors featured in this issue and thousands like them who serve their churches while working a second job. Juggling two professions is tough. Yet, bivocational pastors find a way to balance it all. They possess many of the same characteristics of a decathlete—endurance, skill, and the ability to focus on multiple disciplines and deftly shift from one to another. Bivocational pastors’ lives are lived in slices of time, often compartmentalized and only sometimes overlapping. They face a never-ending balancing act between pastoral duties, work, and family. While there are unique challenges for bivocational church leaders, there are benefits as well. One thing we heard repeatedly from bivocational ministers was how they’ve found unexpected blessings for themselves and their churches. In this issue, you’ll hear from bivocational pastors about how they thrive in ministry. In his column, Thom S. Rainer explores the unique benefits of being bivocational. And Philip Nation offers a practical guide to sermon preparation for the busy pastor. We pray this issue celebrates the work of bivocational church leaders—for their gospel ministry is worth more than a gold medal and lasts for eternity. These days, megachurch pastors get most of the headlines. They write books on church leadership, speak at conferences, and shape the way many churches operate. But bivocational pastors—such as real estate brokers, information technology professionals, house painters, teachers, and lawyers who work both in the church and in the secular world—outnumber those big names. And their numbers are likely to grow in the future. Fewer than two-thirds (62.2 percent) of churches in the United States have a full-time pastor, according to the 2015 Faith Communities Today survey. That’s down from 71.4 percent in 2010. Some may wonder why anyone would choose to serve bivocationally. It is challenging enough to balance ministry with family. Adding a second job seems like an overwhelming burden. But for many bivocational ministers, the benefits outweigh the challenges. Here are six reasons bivocational ministry can be beneficial.